It’s a new month, and that means we’ve got a brand new lineup of deals in the latest edition of the Town Money Saver! $50 in FREE cycling accessories when you purchase any new bike for $350 or more! 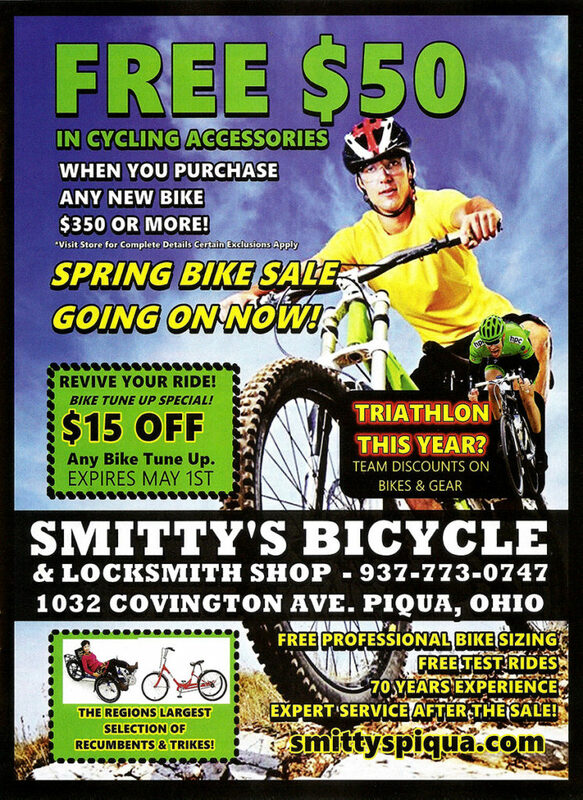 Get ready to ride this spring with our $15 Bike Tune Up Special! Team discounts on bikes and gear!